Nothing says Spring like lilacs! 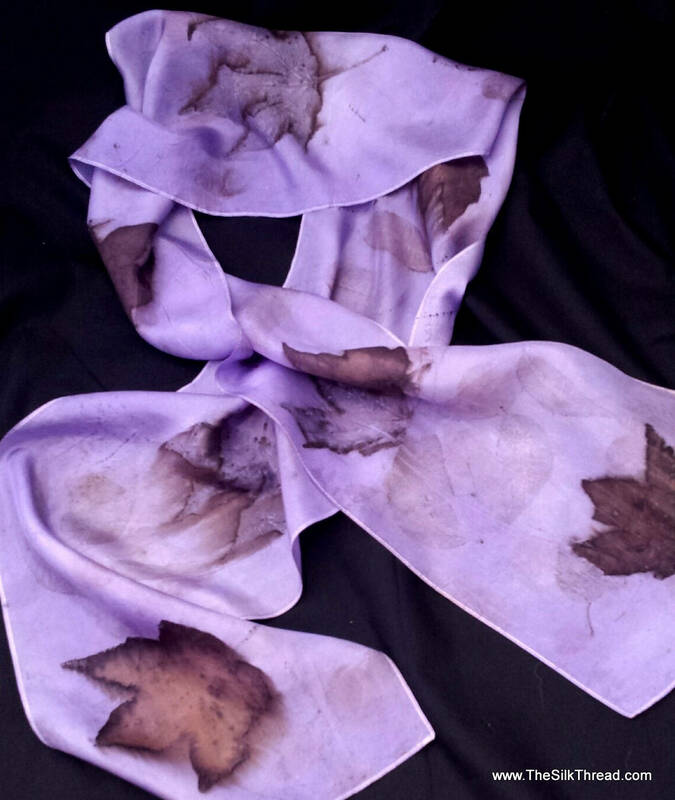 This gorgeous lilac silk scarf is an eco-printed, one of a kind silk scarf with a design from maples and pecan. The bold maples are a contrast to the pale greens of the pecans that run up and down the silk. The imprints are from the natural tannins from the plants. The scarf is 8" x 72" pure silk. My all natural technique creates detailed shapes and colors of the actual plant matter that I use. Eco dyeing or botanical printing involves the foraging and collecting of Nature's leaves, plants, fruit and flowers to begin a journey of emerging on the fiber in unique, all natural designs and colors drawn directly from the plant matter. The colors you see in the plant designs are the actual colors released by Nature through my steaming process. Each textile tells its own story. That is what makes it such an exciting and unique art form. A unique and unusual gift! Totally sustainable, renewable and eco-friendly art form. Each scarf is assigned a number to help in any discussions 🙂 Colors may appear different in your monitor. Each piece is hand painted and dyed by me, artist M Theresa Brown. Everything hand done in my rural North Carolina studio!